thats not from season 3, but from a feature with John Malkovich, totally unrelated to season 3. I am very aware that this is from a separate feature that wasn't part of season 3 but considering it was shot at about the same time or right after the shoot of season 3 it seems clear to me they used this set from when it was built for season 3. Do you really think they'd recreate room 315 so precisely for just a random unrelated internet feature? I think it certainly makes more sense that it was left over from the season 3 shoot. 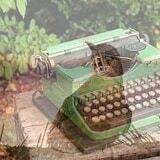 TheGum wrote: Finally- I do think the Key may be "what's missing"
How does this relate to Hawk's heritage? LL: Something is missing, and you have to find it. Hawk: Dale Cooper? What is it? has something to do with your heritage. Great to see a lot of press coverage on the latest episode - articles, recaps, and reviews. Good reminder. So it will be the way not the item. I still feel like Annie's message will be what's missing though...it's the only breadcrumb Lynch ever dropped in a quarter-century. Jonah wrote: I'm interested to see what the sets will look like for Room 315 and the rest of the hotel. If I'm not mistaken, much of the hotel was originally filmed on sets built for the series proper. Very little in the pilot, right? And none in FWWM. Oh, that's right! I'd forgotten about that. yup, it's not about the bunny, but clearly about that room key. "the way" might be finding it intuitively...? interesting. 1. Why aren't people taking Dougie Coop to the Dr? Stop using everyday logic or narrative realism to explain this (or most) aspects to the show. Instead, think in terms of satire or parable. Lynch and Frost are illustrating how people's own interests make them solipsistic to the suffering of others, how their everyday ideology makes it impossible for them to act beyond their own immediate interests. Janey-E and most of Dougie's co-workers are so absorbed in their own concerns that it's impossible for them to act -- not just rationally -- but ethically. For example, Janey-E can only think in terms of Dougie maintaining his job so that they can maintain their bourgeois lifestyle. His behavior frustrates her more than it worries her. 2. What would be the narrative upshot of handing Audrey Horne a psychopathic kid? Well, Lynch and Frost are obviously interested in repetitive cycles in families and circularity, but they are also moral, despite their interest in using absurdity as a way of satirizing our culture. Their basic humanity and morality make them often choose poetic truth over so-called "realistic" truth (the world is full of people who ignore the suffering of others), which makes me think it's impossible to hand Audrey such a horrible, rapey fate like having been seduced by Bad Coop. What would Lynch and Frost gain from such a narrative choice? 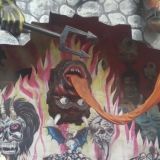 Evil can come from good? Perhaps, but they usually tell us that evil comes from abuse, so I don't think they'll go this route with Audrey. 3. Slow pacing/improved pacing. I've maintained from the beginning that the best way to think about the pacing of the story in regards to narrative structure is in terms of a long novel. Often the approach is to begin slowly, laying out key characters and situations, and then afterward speed things up when appropriate. We also have to try to understand why Lynch often chooses "slow" pacing. Pacing is always relative to what the audience is used to; there is no "correct" style of pacing. 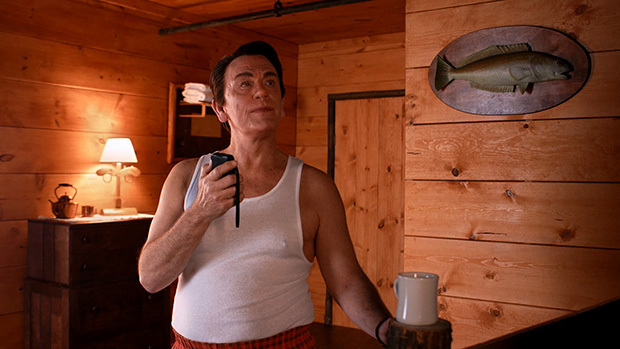 As an avant gardist, Lynch is likely interested in the technique of estrangement, which is all about slowing the audience's normal perception down in order to reshape it and force it out of cliched ways of thinking. But I also think there's a surprisingly realist motive in Lynch's slow pacing at times -- it imitates more accurately how we actually live moment to moment in our actual lives. The "realistic" pacing many clamor for is the exact opposite of a realistic flow of time -- instead, it's just how we're used to seeing time represented in popular entertainment. That is, it's not realistic at all. By maintaining a slow pace, Lynch not only estranges our perception, but he also creates a super authentic realism -- an interesting irony that shows just how programmed we all are. Who played and what is the song at the Roadhouse this week? Is Shelly's daughter poised to become the new Laura Palmer? I feel strong parallels there too, with her boyfriend being like an even scummier Bobby. I got a Bobby and Shelly vibe initially from Becky and her boyfriend in the car (think the scene from the pilot where they drive from the RR). She definitely evoked Laura during the coke scene however. chromereflectsimage wrote: Anyone else get the feeling the Warden knew what DoppelCooper meant when he mentioned Mr. Strawberry? His reaction definitely suggested recognition rather than mere bemusement. That video seems to be down. Here it is. Hockey Mask wrote: Who played and what is the song at the Roadhouse this week? "Snake Eyes" as performed by Trouble, a band featuring DKL's son Riley on guitar. Really liked it, there's even a 2 track 7" wax up for preorder I believe. Panapaok wrote: I'm feeling certain that Audrey will be the one to receive the key. And that's something that would make me very very happy. What a way to re-introduce her, that would be. A bit fan service though. Drammatubero wrote: I'm not 100% convinced by the role the gave to Naomi Watts so far. I hope there's more to come so I can change my mind, but at the moment my opinion is that Watts' talent is a bit wasted for a role which could have played by a character actress. Just realized we still have to see Tim Roth, I forgot He was in the cast list. I don't think (and I hope I'm right) they're going to recast Philip Jeffries, but I can see him in the role... there's a problem though. He's too young for that role, isn't he? Janey, Truman's wife and Matthew LIllard's wife all come across as the same type of character. Just went back and rewatched the episode and noticed the Buenos Aires scene came right after the frame of BadCoop in the security camera (similar to FWWM when Coop looks into the camera). The box collapsed into itself as a little pebble, similar to Coop in the box in NY. Just finished Part 5 and I'm still thoroughly enjoying every moment of this season. The slow pacing and lack of spoon-feeding mirrors the marketing campaign and I totally think that's the way it should be. One of the things I love about David Lynch is that he is not afraid to infuriate people. 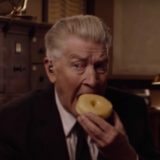 I can see why some would have liked a proper trailer, and why it would have been nice to have all the episodes at once, and how now it would be a relief to have Coop (along with all the other old characters) returning back to normal asap, but it also wouldn't be Twin Peaks if it just did what we wanted it to. Much of what I have seen in the 5 episodes so far is driving me nuts and personally I like it that way. Also, kind of for the same reason, I don't think the key is what is missing. It just seems too obvious and a bit of a cop out. I don't have any other suggestions for what it could be, but I would expect something more interesting and controversial.